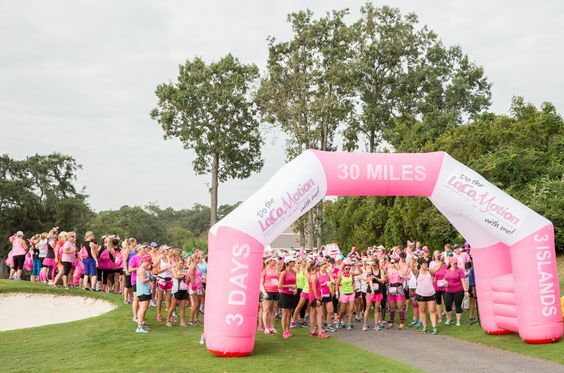 Fripp Island and Fripp Island Golf & Beach Resort will be hosting the first day of this wonderful event to fight cancer. For those wishing to stay with the Resort they are offering 10% off their accommodations for Oct. 23rd – 29th, 2019. All you have to do is use the code PTP2019 when booking and contact them at Fripp Island Resort. The next two days will be on nearby islands allowing for everyone to stay at Fripp Island Resort to enjoy all the fun. The Fun doesn’t stop at the Finish Line. The entire 3 day weekend Fripp Island is all about Pledge the Pink! Walk or run each of the three 10-mile courses from Fripp Island. One day will include Hunting Island/Little Hunting Island, one day we’ll explore another island, and another day will be all Fripp Island. An Island Hopping Adventure - Sea Islands of South Carolina! It’s a three night slumber party complete with s’mores, sack races, charades, beach bashes, talent shows, movies in the pool, golfing, fishing, lounging, golf cart racing, and flamingo inspired arts & crafts. Visit Pledge the Pink official website for additional information.